Peloton was awarded the D&C contract by Stockland to transform the c. 2000m2 existing entrance forecourt into a new food precinct for Stockland. 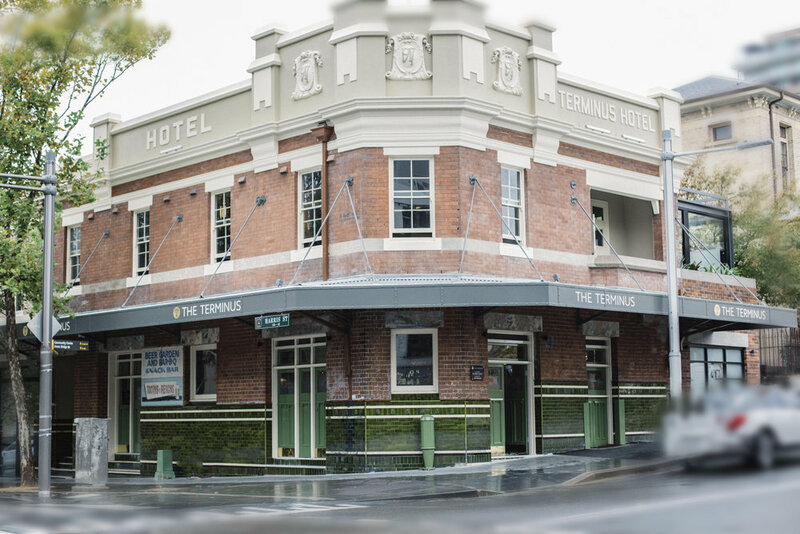 This project involved the addition of a new 450m2 standalone curved single-story structure to house two new restaurants – Grill’d and Chong Co.
Peloton provided all electrical, mechanical, fire and hydraulic base-building services to the new building, as well as providing additional drainage and kitchen exhaust systems for the tenancies. In order to revitalise the external areas of the forecourt a new children’s playground was introduced, landscaping was added and the external lighting was completely upgraded. 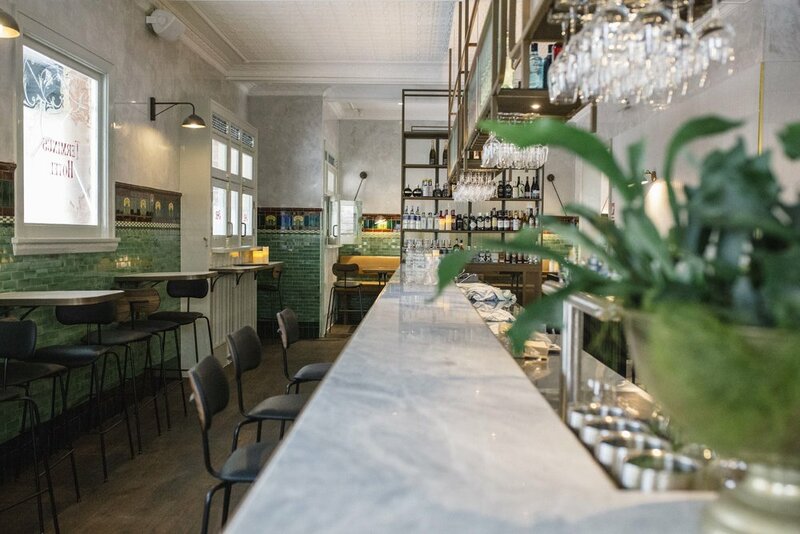 Peloton Constructions were given the mammoth task of rejuvenating the building’s overall aesthetic appeal, bringing the iconic building up to present day standards. In August 2015, this historical wool mill from the early twentieth century was transformed into a funky warehouse themed office building. 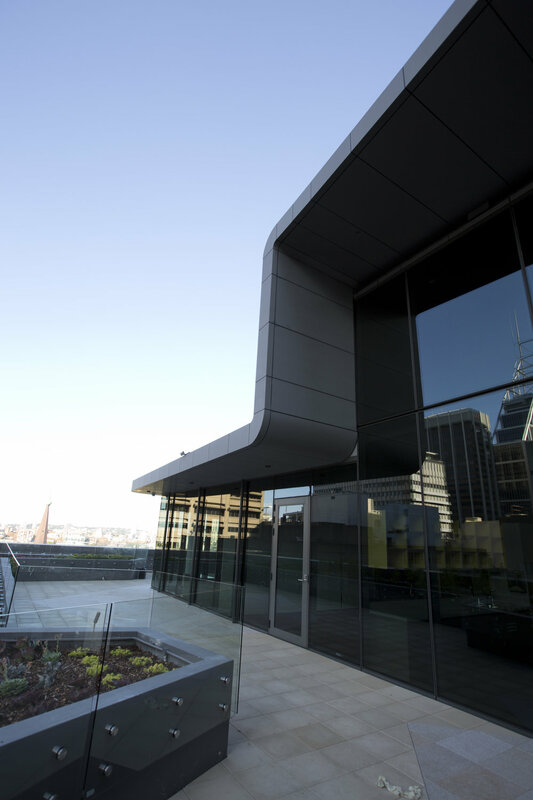 Peloton Constructions were given the mammoth task of rejuvenating the building’s overall aesthetic appeal, bringing the iconic building up to present day standards. The full rectification of the existing timber structure including the installation of steel bracing, treating the existing bearers, and the replacement of columns. This was no small feat; almost 6,000m of timer bearers alone were used. The construction of the atrium; the purpose of which to ensure that natural light could penetrate the building on all levels, involved the removal of the existing floorboards, Oregon joints and hardwood bearers. The 12m deep atrium was then lined with glazed walls to give the tenants a panoramic view stretching from level 1 to level 5. Peloton also installed three 18m high fire stairs which pierced the building from bottom to top, as well as over forty tonne of steel platform required at the roof level to support the array of mechanical and hydraulic plant units needed to power the building. Peloton Constructions have been the principal building contractor completing significant reconfiguration and tenancy works at Top Ryde City since the centre commenced of trading to the public in late 2009. Peloton’s involvement at Top Ryde City started within a year of opening in late 2010, and has continued to today. During this time, the company has undertaken numerous access improvement, reconfiguration and category 1 works packages. With a long history of completed projects at Top Ryde City, Peloton is proud of delivering such a variety of complex works packages, without major incident or dispute. All works have been completed on time and budget without any major defects and with minimal disruption to the operations of Top Ryde City. Peloton was engaged by Bevillesta Pty Ltd in 2016 to complete the combined base build and fit out for the new 5000m2 Kmart store at Top Ryde City Shopping Centre. The works involved the reconfiguration of existing mall space, carpark space and small tenancies to create one large tenancy across two levels. Significant structural alteration works were required with the demolition of a concrete sheer wall in the middle of the tenancy, truncation of PT strands for the creation of a new lift shaft and two new infill slabs around operating escalators. Peloton were also required to re-design and modify the smoke exhaust system which ran through the tenancy below the strict height requirements nominated in the Kmart design brief. Peloton overcame challenges surrounding existing structural conditions, difficult access and stringent noise restrictions to deliver the project on time. Peloton was engaged to deliver the design and construction of two sets of escalators to the main atrium void of the centre connecting ground floor to level one. The works involved the installation of 1 metre deep fabricated structural cantilever beams thirteen metres in length to support the escalators. A highly complex materials handling and rigging task was undertaken, completed within the constraints of a trading shopping centre. Additional work included the creation of a void between levels for the installation of an architecturally finished structural steel access stair. This involved the demolition of an existing stressed slab via a temporary work protection platform installed above existing escalators. The new stair, supported by tensioned rods, was installed over a five level void below open to public access with minimal disruption to the operation of the shopping centre. The works were delivered on program in 12 weeks. Peloton completed an office fit out for WINIM. This project involved the creation of a new board room and meeting room, two offices, with the remaining office area designed to be open plan with new kitchen facilities. Timber wall and floor finishes throughout the front of house areas and offices were installed, with new carpet floor finishes throughout office area and vinyl flooring to kitchen. Alterations to services were made to suit the new layout, including supplementary air conditioning unit to serve the meeting room with feature linear light fittings throughout the office space. The challenges of this project included a strict programme and time window; access to the site was given on the 6th of December 2016, with PC required and ready for occupation by the 9th of January 2017. Noise restrictions were also a factor, as the building was occupied by various tenants throughout the day meaning that any noisy works had to be completed out of hours. The design also needed to be managed to meet budget expectations of the client. 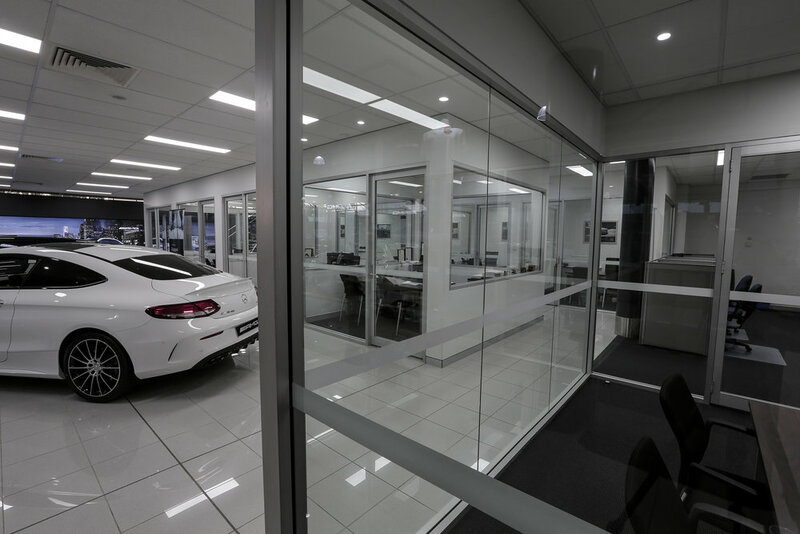 The Mercedes-Benz Parramatta Dealership, operates on a 4000sqm footprint with operations occurring across 3 levels. The Mercedes-Benz Parramatta Dealership, operates on a 4000sqm footprint with operations occurring across 3 levels. 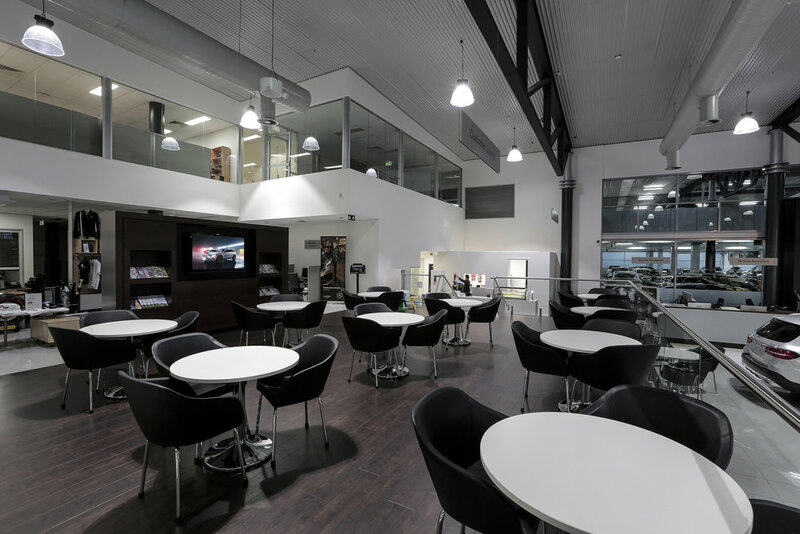 Tasked by the dealer principal to complete a dealership wide upgrade & refurbish the showroom’s reception, café, customer lounge, toilets & workstations. The team at Peloton delivered, whilst onsite also undertaking a complete repaint, re-carpet, an expansion build of new offices within a live showroom and revamp of part of the workshop facilities. Engrained in the Mercedes-Benz ethos is the best or nothing. Not only did the importation of premium materials need to be timed on-site but customer service was crucial. Mercedes-Benz pride themselves on delivering a first-class experience to guests & the team on-site needed to integrate and communicate clearly with the Mercedes staff in order to ensure these professionals were able to continue operating. Peloton operated within several locations on-site simultaneously in order to minimise the time onsite. A few feature items included the custom built reception joinery & star wall, with a facility wide overhaul of colours, trims and decals to ensure the dealership was brought to a 2017 Mercedes-Benz standard. 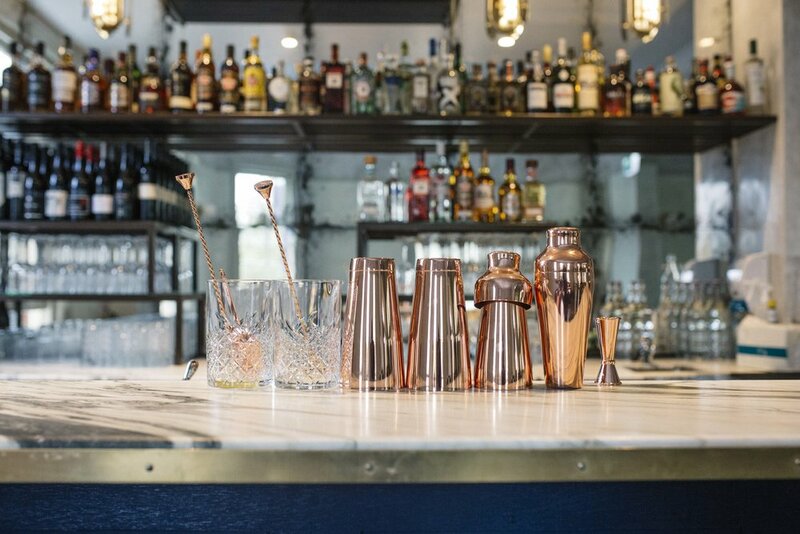 Following their successful tender to operate the hugely popular kiosk on Shelly Beach in Manly, The Boathouse Collective chose Peloton to transform the existing 1920s kiosk into their grandest venue yet – The Boathouse Shelly Beach. The vision was to deliver a café and kiosk with the popular Boathouse feel to the location, while also adding a more formal restaurant and a private function room. This complex project involved the large-scale demolition and restoration of a council-owned heritage building situated on a busy beach in a nature reserve. 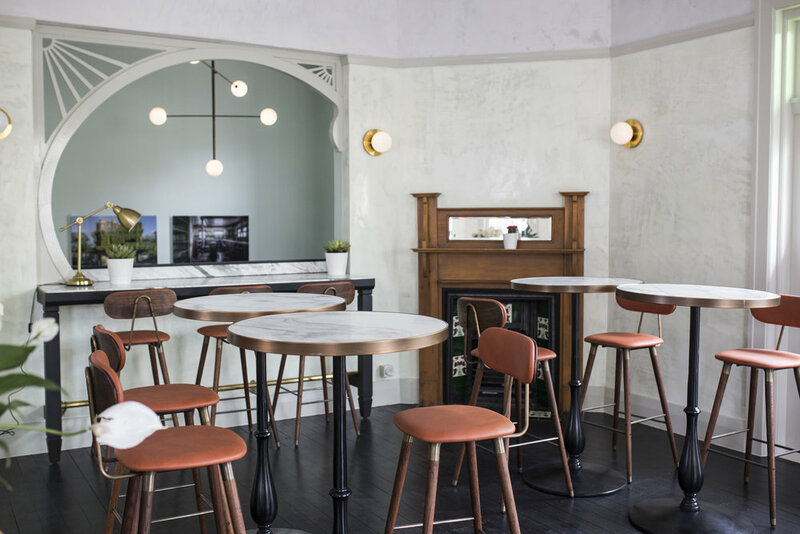 The existing heritage restaurant was completely refurbished including a new structure and foundations to provide an open plan ground-floor area. A new amenity building was added by excavating into the hillside at the rear, and the existing 2-storey section was extended at the front and rear and given a new roof. Large-scale hard and soft-landscaping were added to transform the existing stormwater culvert into a tropical garden setting for external dining. The site had additional unusual constraints - such as endangered fauna, bush fire risk and challenging topography all of which called for careful management and dialogue with a wide variety of stakeholders. Peloton delivered this project on a D&C basis, from design development and DA approval right up to opening. Peloton were engaged by engineering firm, Wood and Grieve to undertake the fit-out to their new office space at 207 Pacific Hwy St Leonards. The project was delivered on-time allowing Wood & Grieve to move in with minimal disruption to their business operation. The client’s budget and expectations were also maintained for the project through effective value engineering. “WGE have worked with Peloton on a number of projects. Some of which Peloton have worked as the builder and WGE has been engaged by the developer. WGE always found Peloton to be honest, reasonable with charges for client changes and always seemed to work with the client to get the project completed to the clients satisfaction. For this reason WGE engaged Peloton to undertake the fit-out of our new offices at 207 Pacific Hwy St Leonards. The project was delivered within a very tight time frame including the December break. The entire team at WGE are very happy with the result and in particular Pelotons desire to address any concerns that we did have. Peloton were chosen by Stockland to deliver the Remix of the Civic Plaza building at their Shellharbour Shopping Centre. This project consisted of the Design and Construction of modifications to provide an extension to the existing Centrelink tenancy on ground floor and to consolidate the first floor offices to provide an open plan 1500m2 tenancy. The total area of the project is approx. 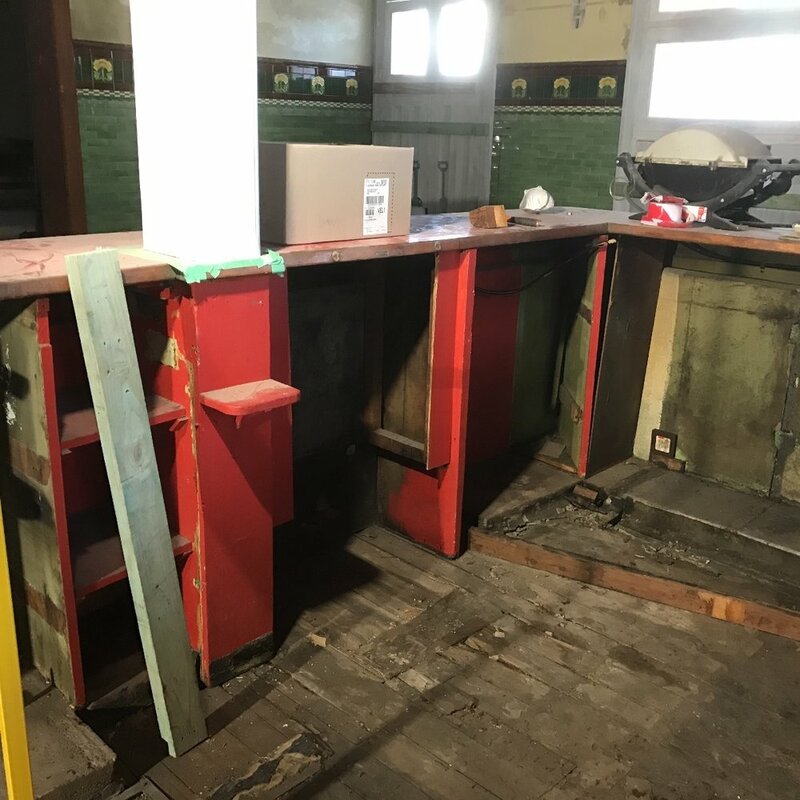 2000m2 over 2 floors and works include a full demolition and base-build refurbishment including significant mechanical and electrical system upgrades. Peloton were also awarded the fit-out of the first floor tenancy by Big Fat Smile to transform the space into their latest state-of-the-art pre-school. Big Fat Smile are a not-for-profit, community owned company caring for over 8000 children across 44 centres and are the #1 ranked childcare provider in Australia. Peloton are currently completing this integrated fit-out with works scheduled to be complete in September 2017. An industrial warehouse extension including a new 950 sqm tilt up concrete structure with mezzanine offices. Detailed excavation for new concrete warehouse slab for storage, associated civil works and landscaping. Works are due to be completed March 2018. Design and construction of a new JAX Tyres centre within a live shopping centre at Warrawong. The project entails a 300m2 steel-framed structure including separate mezzanine and office. The structure is built on a post-tensioned suspended carpark slab. As part of the Masterplan redevelopment of Warrawong Plaza Shopping Centre following its recent acquisition by Blackstone, Peloton were commissioned to build a new Jax Tyres tenancy on top of the multi-deck car park. This project involved the Design and Construction of a new 300m2 steel-frame structure complete with a 5-bay workshop, showroom office and staff amenities. Peloton were chosen for this project having successfully delivered the first phase of the masterplan, the Fresh Food Precinct. Peloton Constructions have recently completed a retail upgrade at Warrawong Plaza Shopping Centre. The contract involved the demolition and full refurbishment of 3000m2 of internal space within a live shopping centre and is the first stage of a 3 year programme of works on behalf of our client, Winim. This challenging project included the provision of base building works and services to 9 separate tenancies, including a mini-major, to provide a new fresh food precinct for the mall. The scope included the replacement and upgrade of essential services, flooring, walls, ceilings and complex external infrastructure including a new loading dock and goods lift. All this was completed while keeping the mall operational and minimising disruption to patrons. Peloton managed the overall design process, including coordination of the tenancy fit-outs and delivered the project as scheduled for its grand opening at Easter 2017. Peloton completed a D&C fit out of the Level 55 office for Fortress Investment Group. Under the guise of architect Andrew Cliffe, the team led by Ed & Clive delivered an elegant space ready for Fortress clientele. 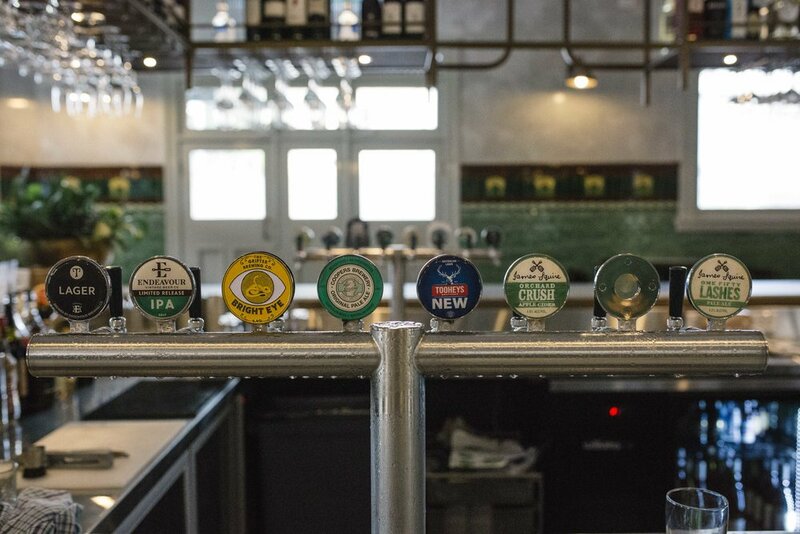 In mid 2017 Fortress approached Peloton about their move from the AMP building to the Gateway at 1 Macquarie Place. A brief was set & Peloton were engaged to take the idea from concept through to reality, engaging the consultant team and handled building management through to carpet suppliers to deliver the space the Fortress Investment Group needed. Amongst the office oak lined walls, you'll find feature brick tiles that compliment the custom furniture. All of which was designed developed throughout the fast track process. It's a case where good design will mean good businesss for Fortress. Works include construction of the steel structure, external wall finishes, roofing, windows, doors, flooring and external play areas. Peloton was engaged to deliver the full fit out of new premises for Wilson HTM Investment Group over 1800 square metres. The fit out, designed by architects Davenport Campbell, was completed in parallel to the completion of the base building construction, and required Peloton to work closely with the head contractor in respect to materials handling, programming and access issues. The fit out extended over three floors, including out-door function areas and shade structures. The main difficulties faced during this project were with the materials handling. This was due to the base building head contractor still controlling the site with minimal lift access and the location of the building being on one of Sydney CBD’s busiest intersections. Peloton delivered the project on time and within expectation despite only having 5 months from commencing design development to practical completion. The works were completed over 12 weeks.